Location, location, location. The big question mark is: Why Toa Payoh Lorong 4, right between a hair salon and Chinese medical hall selling ’liang teh’? Other than the most obvious reason of lower rental. Walking over from Toa Payoh MRT, I needed a 10-15 minute, crossing through TP Central, roads and a multi-storey carpark to reach a rather inconspicuous looking shop. 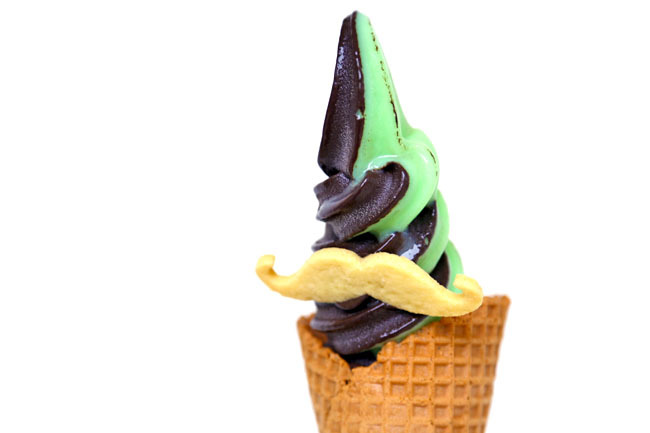 This is the softserve with a moustache, made of butter cookie or chocolate – a perfect touch-up for Instagram. 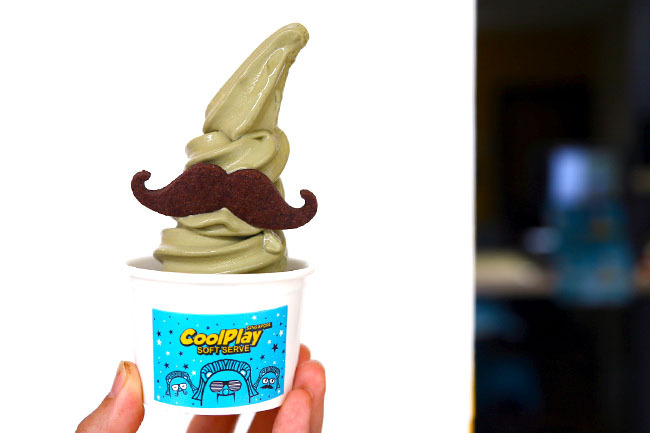 Hailing from Taiwan Kaohsiung, expect different flavours every week which can range from Heavy Chocolate, Cool Mint, Oolong Tea, Milk Tea, Matcha and Black Sesame. 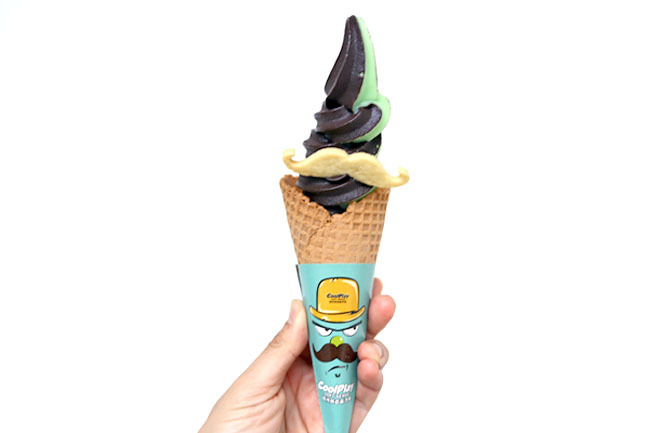 I liked the Heavy Chocolate and Mint combination, going both dark-strong and cooling at the same time, with a sensation that vaguely reminds me of After 8 chocolate. Though not all flavours were as outstanding. The bitter aftertaste of the Oolong Tea needed some getting used to, and the Matcha was pretty powdery and bitter on its own. 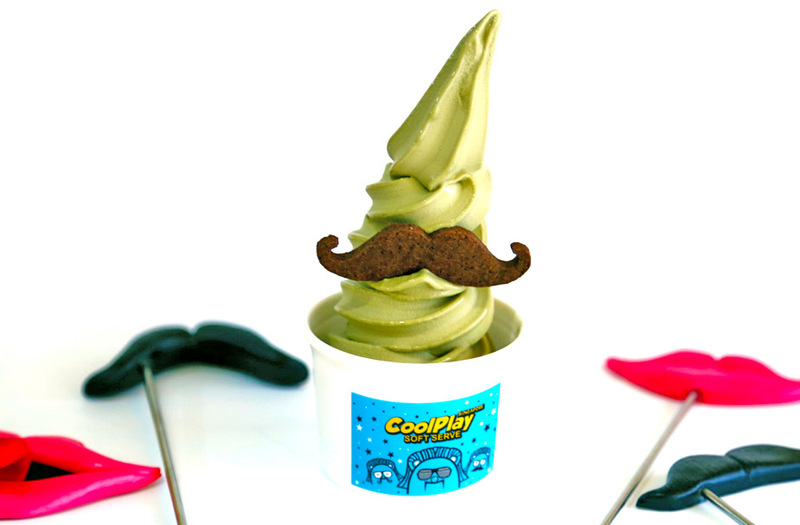 Comparing with other soft serves in Singapore, the texture is more to the icy side, and not as milky. Surprising stayed in shape momentarily in our rather warm climate. I like CoolPlay – it’s fun and different. Plus the fact that there are rotating flavours. Pros, you get a variety. Con, you do not know what to expect. 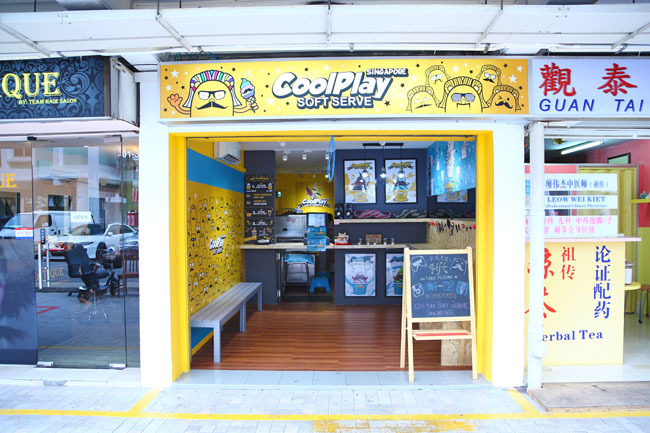 The challenge for CoolPlay comes when the novelty factor runs lower, and attracting a sizable crowd over can pose a challenge.